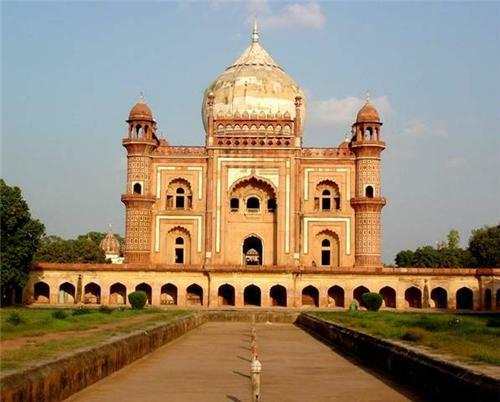 Safdarjung-tomb or safdarjung maqbhara is built in Mughal architecture. The tomb is built in sandstone and marble. This tomb is a simple garden tomb. This tomb was built in the year 1754 in memory of Safdarjung, the governor of Avadh and Nawab Shuja-ud-dualah’s father. It is located at the junction of Safdarjung road and Aurbindo marg is of the major tourist destination in Delhi. Mirza Muquim Abul Mansur Khan popularly known as Safdarjung was a rich and powerful ruler. He was born in the year 1708 AD. After the death of Mohammed Shah of Mughal Empire, Safdarjung relocated to Delhi and was made the Nawab of Avadh. Safdurjung ruled from 1719-1748 as Prime Minister in Mughal Empire. From 1750 to 1754 he was made the Subhedar of Assam and then Governor of Ajmer. As Safdarjung was a powerful ruler he had taken complete control on the King. The King was a mere puppet in the hands of Safdarjung. However internal politics ousted Safdarjung from Delhi. After this, Safdarjung died in the year 1754 in Sultanpur. 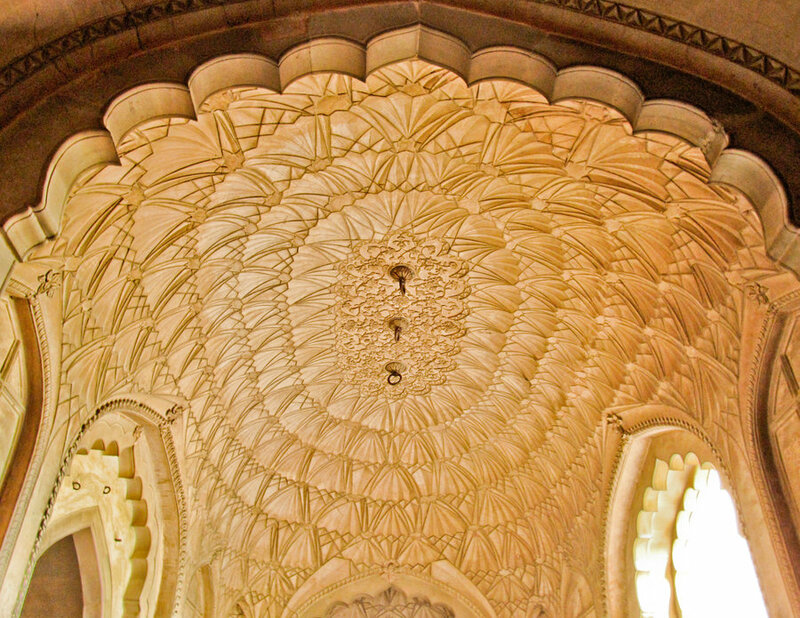 His son Nawab Sujhaud Daula pleaded the Mughal emperor to build a tomb in his father memory. 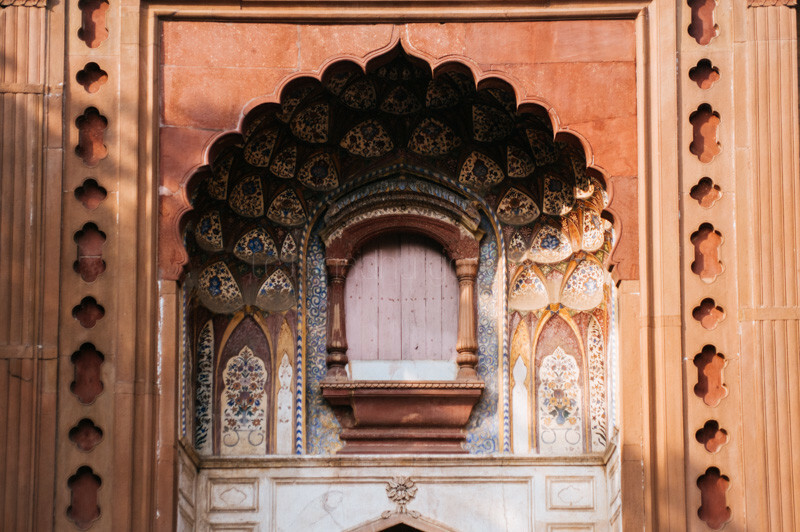 After taking permission, Safdarjung’s son constructed the tomb in Delhi. Safdarjung tomb is the last monument which was built during the Mughal rule. This tomb signifies the downfall of the Mughals. An Ethiopian architect called as Abyssinnian designed the tomb. It is built in red sand stone with a huge dome. Although Safdarjung tomb was built in line with Humayun’s tomb still it lacks grandeur and beauty of Humayun’s tomb. This monument also lacks the precision in the architecture. The four main important features of the tomb are the Char Bagh which is at the centre and has the mausoleum, the nine fold floor plan, a five part façade and a large podium with hidden stairways. The mausoleum is on a raised platform and the main entrance is of two storied which has magnificent and intricate Arabic designs both in the front and the backside of the tomb. The Arabic inscriptions states as follows “When the hero of plain bravery departs from the transitory, may he become a resident of god’s paradise”. To the right side of the gate is the mosque which has three dome and stripes on it. The rear side of the main gate consists of rooms and library. Like all Mughal architecture even the Safdarjung mausoleum is surrounded by square garden..
One can have a perfect view of the mausoleum on entering the main gate. The walls are built very high and hold a huge dome above the mausoleum. The central chamber is built in square shape which has eight partitions with octagonal shaped chhatris on each four corners. The cenotaph is being kept in the centre of the chamber. The interiors of the Mausoleum are beautified by using Rocco plaster. Like all other mausoleum even in this tomb has actual graves of both Safdarjung and his wife Amat Jahan Begum. 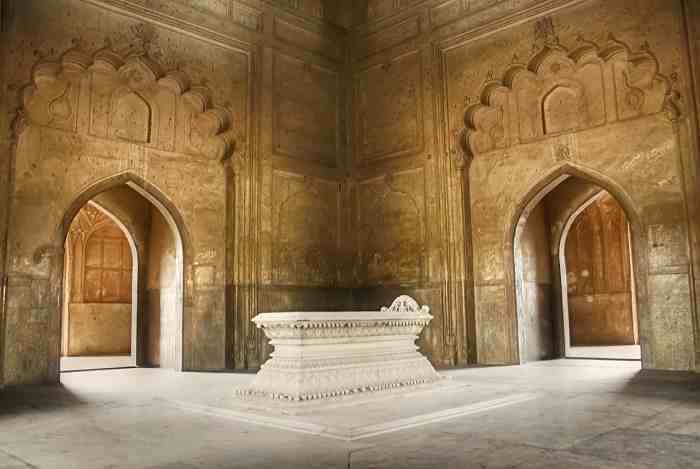 Even though this tomb tries to mimic Taj Mahal on few points, it lacks the symmetry/ precision/ beauty of the Taj Mahal. The Four minarets are at a completely different elevation as compared to that of Taj. Even though the architecture of the tomb is praised but it does not stand up to the architecture of Mughals. The materials used for the construction are of questionable quality. The main beauty of the tomb is the garden which is surrounding the tomb. It is approximately 280m long on all sides. The garden is the same charbagh style of Mughals which is separated by four squares which consists of water canals and foot path. One channel leads to the main entrance gate of the tomb and the other three leads to the pavilion. Each square is further divided into smaller garden. the shape of the chattris are in octagon. Location: Between Safdarjung Road and Aurbindo Marg New Delhi India. Please note the rates may have changed.